Smart golf club sensors are a familiar sight at local golf clubs, but the Cobra King connected drivers – announced at the end of 2016 – show that tech in golf could become ubiquitous. The range is a collaboration between Cobra (owned by Puma) and Arccos – purveyor of the Arccos 360 sensor system. It aims to analyse your game and offer detailed feedback on the success or failure of your shots. In terms of clubs, there are multiple drivers with the Arccos sensor embedded. The Cobra King LTD Driver is the top-end built with the latest materials and zero centre of gravity, the King F7+ Driver is for better players with lower lofts and finally the King F7 Driver with a larger face is for a more forgiving result making it ideal for players in need of as much help as possible. We chatted with Tom Olfavsky, vice president research & development at Cobra Golf, to find out how smart clubs are changing the way the sport can work in the future. How does Cobra Connect work? The Cobra Connect drivers connect to your phone via Bluetooth, and sync to the well-established Arccos app, so you can track and analyse your shots mid-game. The existing Arccos 360 system uses 13 attachable sensors, which attaches to every club in your bag to map every shot on the course. 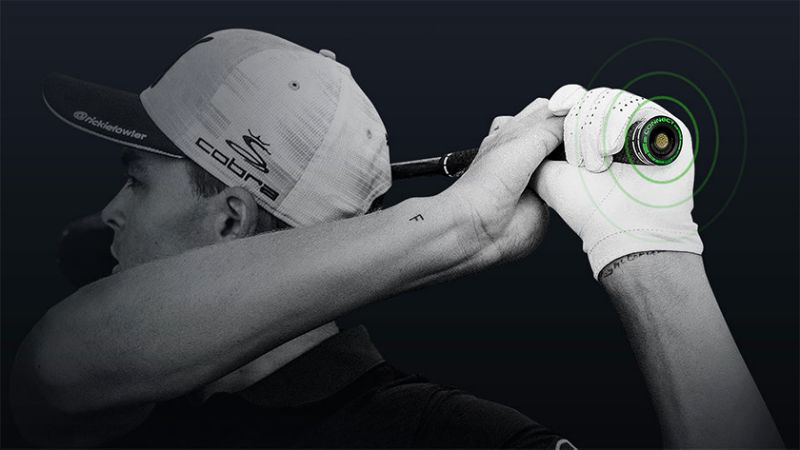 With the Cobra Connect series, the sensor is built right into the grip. They both offer the same benefits, giving golfers insights into average shot distances, greens in regulations, fairways hit and success on every hole over time. To do this the sensor detects a swing and the phone, which needs to sit in your front pocket, uses the mic to confirm the shot has been taken. Similar tech from other brands – namely Game Golf LIVE – still require you to tap your club to the belt worn sensor each time a shot is played. The innovation here means y0ur connected driver is capable of collecting data about your game automatically. All you have to do is just open the app. Any investment in a golfer's kit should be one that can be measured by improvements in performance. The idea here is to offer a new factor when picking a driver club upgrade. The connected King clubs are existing clubs in Cobra's range, and the new sensors are designed not to impact performance, feel or distance. "Golfers can dial in the weight and loft settings on the driver for optimum performance," Olfavsky said. "It will give them real data to share with their pro or coach to help them with their swing." And it's not just all stats, stats, stats. There are also virtual gamification elements, a bit like Strava for golf. "It will also will give players the ability to share performance, long drives and King of the Hole moments with their golfing buddies," Olfavsky said. With sensor tech already proven – and the likes of Game Golf already being used by pros on tour, Olfavsky says that the technology isn't the only limiting factor. The rigid laws of the game and the slow speed in which new legislation an be enacted is also slowing connected golf tech. "One of the challenges currently is that the ruling bodies (R/A and USGA) limit us in some aspects to make the club conforming. We are in continuous dialog with them to be able to provide improved tech for the future," he said. Rules 4 and 5 of the R/A laws of the game are specifically designed to stop players becoming reliant on tech and eroding golf's traditions. So building more connected tech into equipment is always going to be a tough ask. Even golf GPS watches and rangefinders, which are used by pretty much every amateur, are only allowed in the rules if your local club decrees. Post-round analysis devices – such as Arccos and Cobra's connected drivers – get the go-ahead. But getting connected clubs to become more useful to players isn't an easy task. What about the rest of my clubs? At the moment this is still new territory so the number of clubs with Corba Connect Arccos sensors built-in are small in number. And that's one of the problems. A connected driver alone isn't going to improve all aspects of your game – but it's a start. What's more, if you like the data you're getting from your driver, you can pick up the Arccos 360 pack and retrofit the tech to the existing clubs in your bag. When asked about more smart clubs appearing in the future, Olfavsky said: "We are considering many options for the future, please stay tuned." The Cobra King LTD is $450 and available at American Golf now, alongside the Cobra King F7+ is $400 and Cobra King F7 is $350.